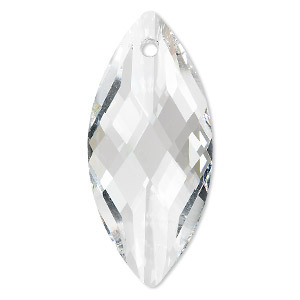 Focal, Swarovski® crystals, crystal silver shade, 40x18mm faceted navette pendant (6110). Sold individually. Item Number: H20-2866CR Have a question about this item? 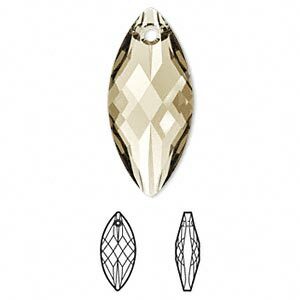 Swarovski crystal navette pendant was inspired by famous fine jewelry cuts and stained-glass imagery. 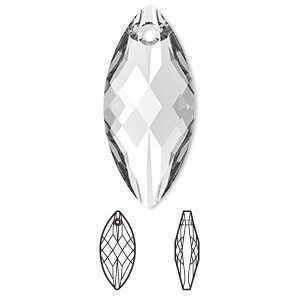 Long, angled facets along the tips are balanced by smaller, diamond-shaped facets across the center to create the spectacular play of light. 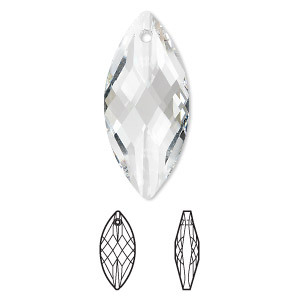 An ideal centerpiece for crystal necklaces and earrings. 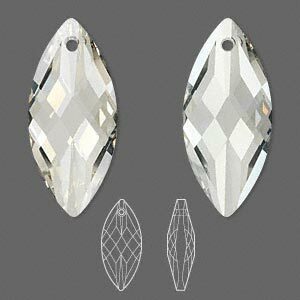 Beveled holes prevent thread and beading wire from fraying. 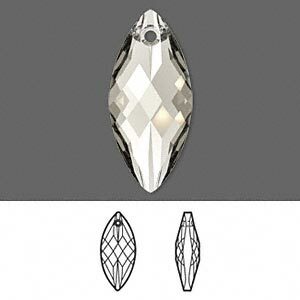 Focal, Swarovski® crystals, crystal silver shade, 40x18mm faceted navette pendant (6110). Sold per pkg of 12.